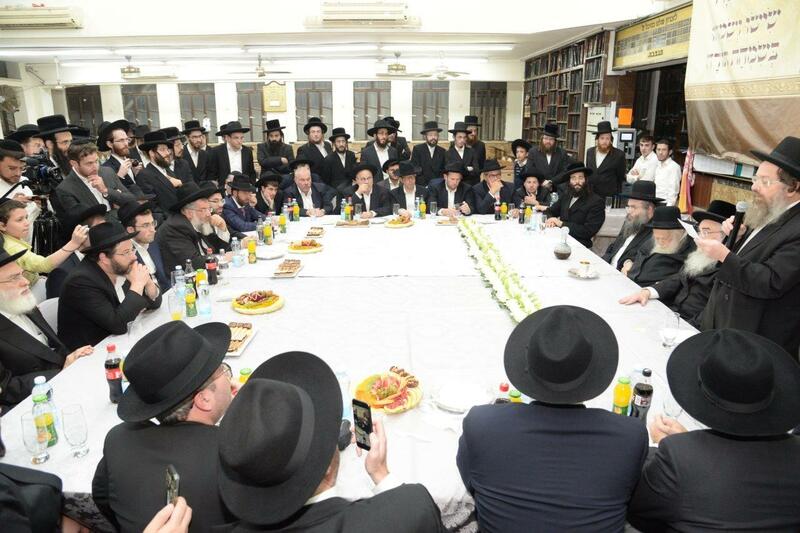 On Monday evening, the avreichim geonim of Shas Yiden, leading supporters from the United States and England and other guests gathered at the Lederman shul in Bnei Brak. A controlled excitement permeated the small hall as all waited to welcome the Nasi of Shas Yiden, Maran Sar Hatorah ורשכבה”ג Hagaon Harav Chaim Kanievsky, shlit”a, for the annual Siyum Hashas by each of the 42 avreichim. Each had completed a minimum of 13,555 blatt! When Rav Chaim entered, the music and the singing reached a crescendo and the simchas Torah began with abandon. Aside from Rav Chaim, Rav Eliyahu Mann, the Rav’s chavrusa, addressed the gathering on behalf of Rav Chaim. 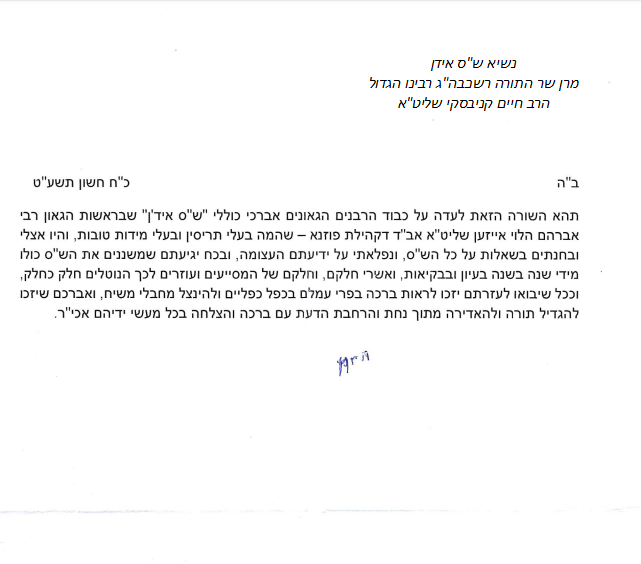 “We are celebrating a siyum of 569,310 blatt!… The Sar Hatorah said that the supporters of Shas Yiden will have ehrliche children who will be yir’ei shomayin; their sons talmidei chachomim and their daughters, tznuos. Hagaon Harav Shimon Galai gave divrei brocho and spoke of the greatness of the avreichim and the mutual greatness of those who support Shas Yiden. 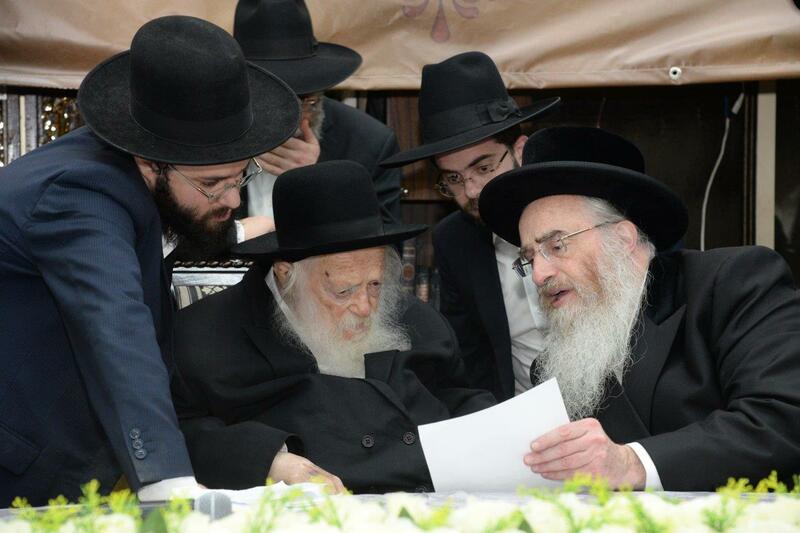 The hadran was made by the Rosh Reshet Hakollelim, Hagaon Harav Moshe Isaac Samet, shlit”a, and the kaddish was recited by Reb Yossi Hirsch from New York.